The Body Cardio uses PWV to measure your heart's health. Getting a checkup on the old ticker used to require a visit to the doctor, but thanks to Withings’ incredibly smart new device, soon all you’ll need to do is put your feet on a scale. 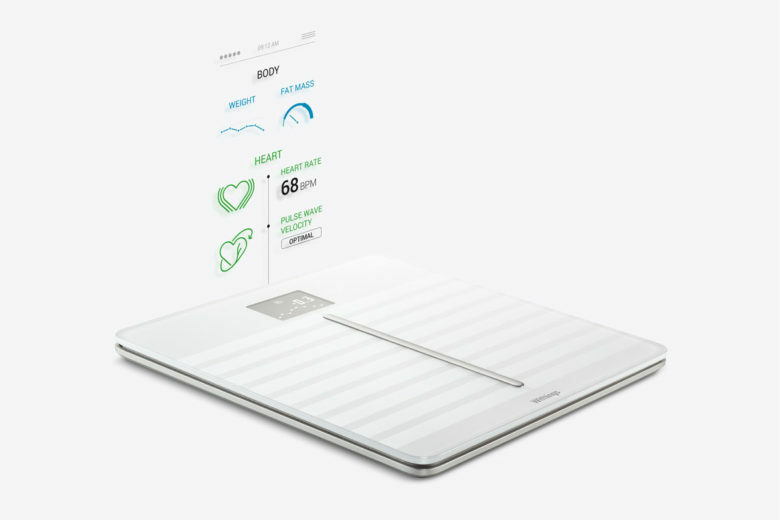 The new Withings Body Cardio is trying to completely change the expectations of the modern scale by adding a technology called Pulse Wave Velocity to get a holistic view of your health by measuring your weight, BMI, body composition, and most important of all, cardiac health. Withing’s claims the PWV measurement is one of the best ways to gauge the health of your heart and is usually reserved for clinics and those with high blood pressure and chronic diseases. PWV tech uses vibrations to measure the time it takes for blood to flow from your heart’s aorta to the feet. If it works as well as advertised, the Body Cardio could be a great tool to help people prevent some of the cardiovascular diseases that are the number one cause of death worldwide. We’ll have an official review on it in a few weeks. Not only is the Body Cardio incredibly intelligent, it’s design is also quite impressive. Standing at only 0.7-inches tall, the seamless design features tempered glass and four weight sensors. All of your stats can be tracked with your iPhone so you can see your progress. Apple apparently loved the scale so much it’s available exclusively at Apple Stores across the U.S. starting today for $179.99. More retailers are will start selling it later this summer, just in time to work on that bikini body.